Isn't it scary how fast time flies? In just 6 weeks, my kids will be going back to school. :-( As mentioned previously, I am slowing down on my blog posts to spend time with them. I will be posting once a week until September when I can (hopefully) post more often. 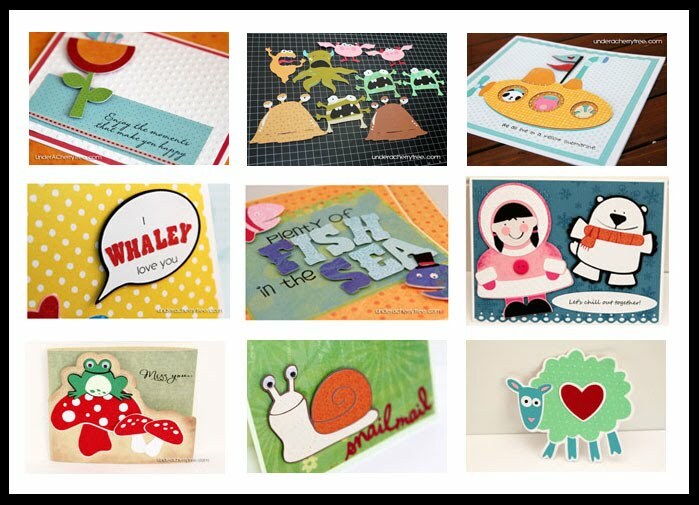 I have spent this past week making a couple of cards with my paper scraps and this Lettering Delights Mulberry Lane Too graphic set. The images in this set have nice unbroken lines and I thought that they would be easy to convert into MTC-Cricut cuttable files. Using the same method as illustrated in my tutorial, I cut out the flowers with MTC. 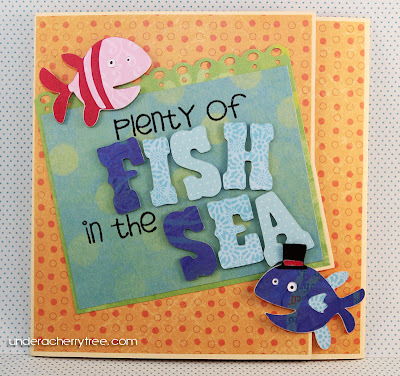 For the first card, I embossed the card front with my new Cuttlebug's Polka Dots embossing folder. 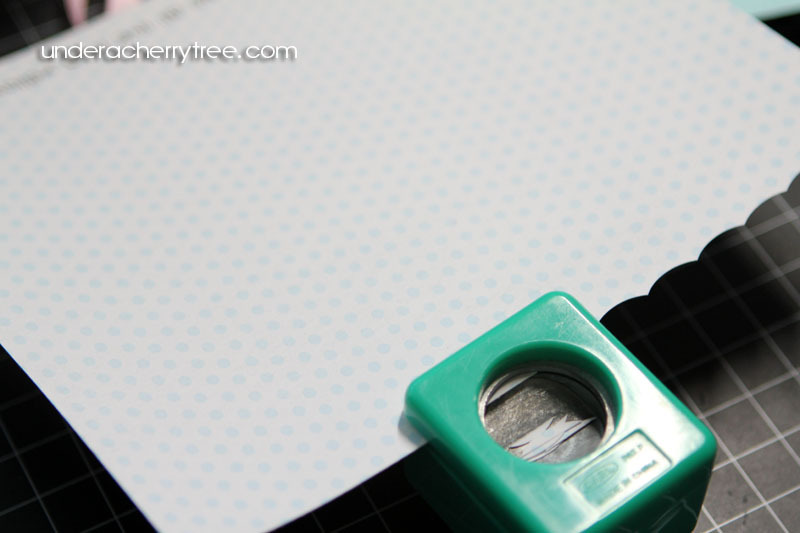 I'm always using the Swiss Dots folder that I thought it would be fun to change that up a little. The sentiment was stamped with a Hero Arts stamp. 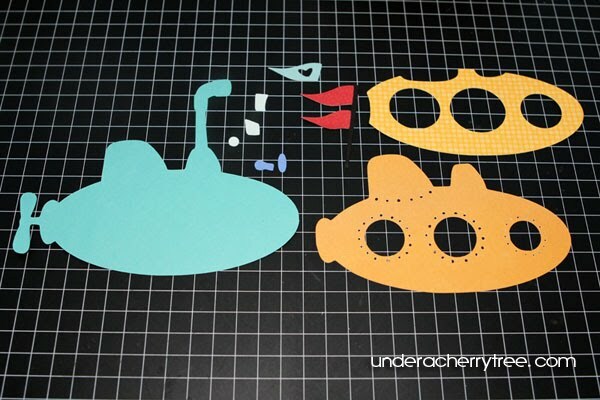 I had such fun making the first video tutorial that I thought I would attempt a second one. 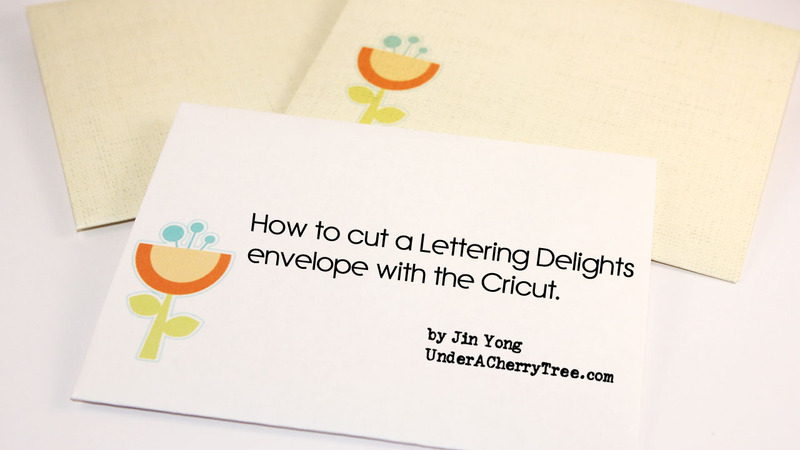 This time I will show you how I use Make-the-Cut to cut out a Lettering Delights envelope template. Did you know that Lettering Delights has several envelope templates on their site? 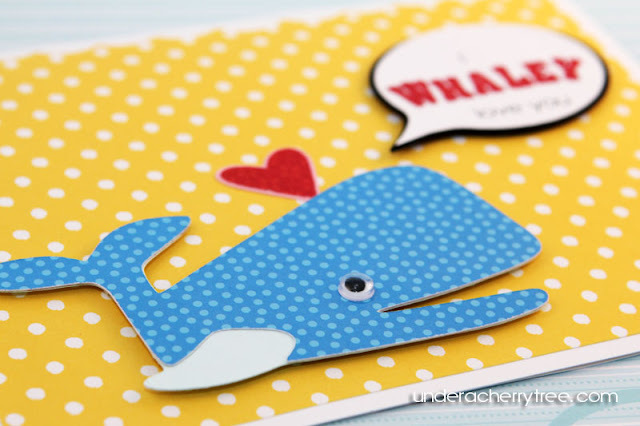 There is a graphic set called Card Cafe Ala Envelopes that has envelope templates. 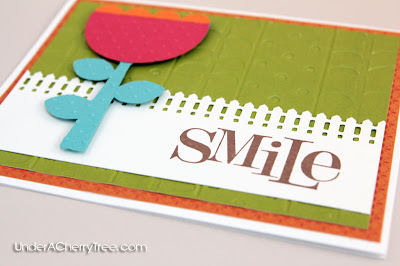 The template that I am using for this tutorial is "envelope 10" from the graphic set called Peppermint Holiday Envelopes. Step 2: Import and Trace. Select envelope and trace by selecting Import Objects>Pixel Trace. Break and delete words and the duplicate layer of envelope. Use CTRL-G to remove excess nodes. In my video, MTC was not able to simplify any further. I still added in this as a step because I believe that it is a good habit to CTRL-G everytime before you send the Cut command. At this point you are ready to cut out the template but depending on the size of the envelope required, you might want to adjust the size before you click on the "Cut" button. That's all for this post. I hope that you are all having a great Summer! Notice: Provo Craft/Cricut does not endorse the use of any 3rd party software. Cutting or communicating to any Cricut machine with any 3rd party or non-Cricut endorsed software or device will void the warranty of the Cricut cutting machine. As such, it might be prudent to wait until the warranty expires on your Cricut machine before trying out this tutorial. Thank you everyone for your patience. This is my very first video tutorial and it was truly a learning experience. For all of you who have ever made one of these, I applaud you. This video tutorial will show you how I convert the whale from Lettering Delights' Seven Seas graphic set into a Make-The-Cut file. I used Adobe Photoshop CS3 in this tutorial but I understand that the same tools that I used in PS is also available in Photoshop Elements so if you only have PSE, you should still be able to do the same conversion. You are free to share this video tutorial on your blog or craft forum but I would really appreciate it if you would point back to my blog. 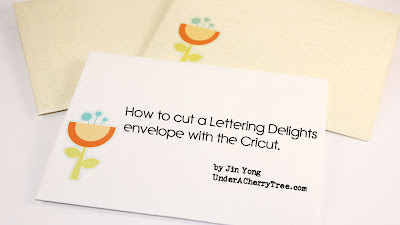 I have worked hard to put this tutorial together and I would be grateful if you could support my blog by using my affiliate link when you make a purchase at Lettering Delights . You can use the coupon code "SpendTen" for a $10 discount when your purchase totals $20 or more. Step 1: Prepare your tool. Select Magic Wand. Set Tolerance to 50. Step 2: Open Lettering Delights file. Step 3: Create the layers. 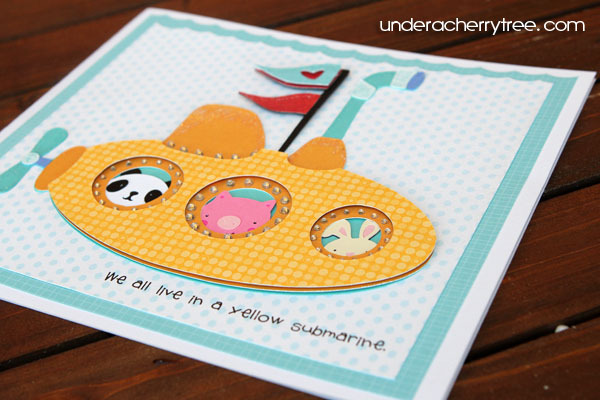 Select Blue Polka Dot layer and right-click to Layer via Copy. Select Image>Canvas Size and set height to 20. Step 5: Hold down the CTRL key and the left mouse button to separate the layers. Step 7: Sharpen the image with the Brightness/Contrast feature. Step 8: Save your converted image. This graphic is now ready for MTC or Inkscape. Step 9: Import the new file into MTC. Trace. Step 10: Adjust the size and split the image. Your LD graphics is now ready for cutting! If you enjoyed the tutorial, please leave a comment below and tell me what you think. It's a good morning when you wake to a newsletter and see your card looking back at you. I just checked my email and as I was reading Lettering Delights' July newsletter, I see my recent whale card featured there! 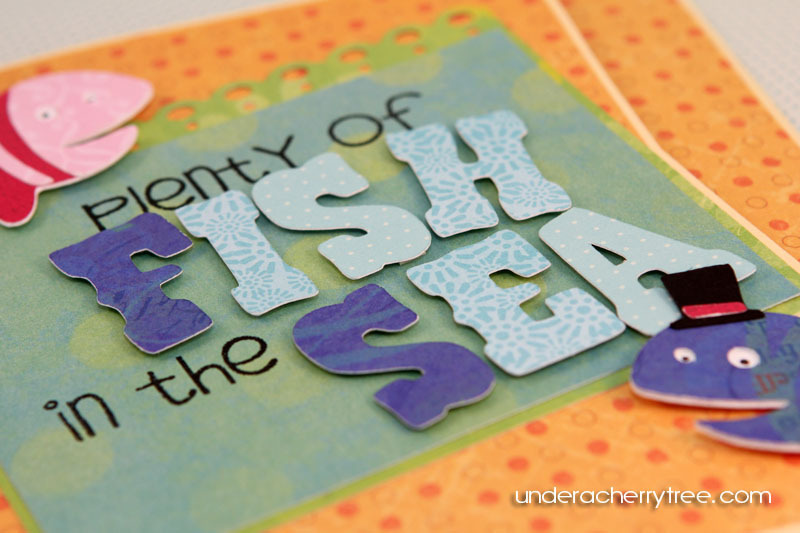 Here's a new freebie from Lettering Delights and it's a pretty cool one too. You can get a couple of FREE files just by being a LD member. If you have an account with Lettering Delights, just sign in and you will find these already in your library. Just look under "My Library" and then "Freebies". To download the file, click on the "Try Me Now" button and look under the "Download Entire Set" tab. If you do not have an account with LD, just create one here. 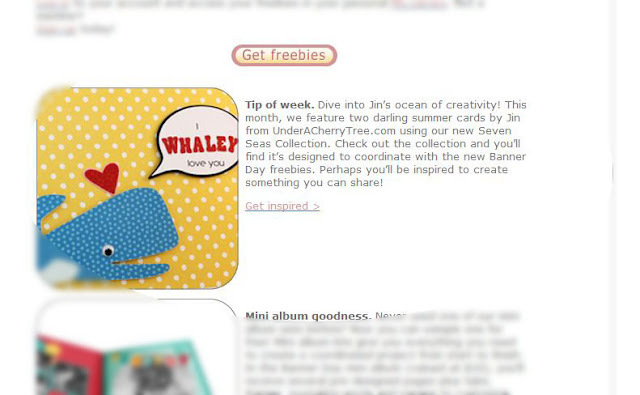 The freebies will be automatically added to your "library" and you can download them the same way as mentioned above. 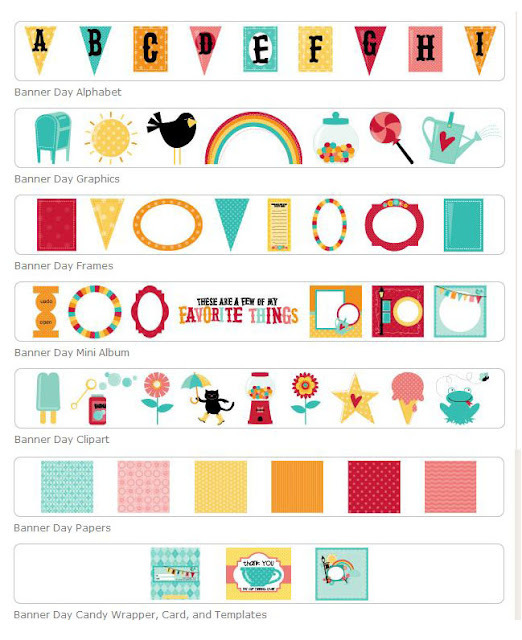 This is a great opportunity to use LD graphics for converting into Cricut-cutable files without having to buy the graphics. I use Make-the-Cut and Adobe Photoshop for converting their images into cut files. If you do not have MTC, why not give it a try? You can download a free trial here. Also, if you find something else that you like on the site but do not want to pay full price, you can use the coupon "SpendTen" to take $10 off a purchase of $20 or more. The coupon expires July 31, 2010. Check out the coupon and other specials here. I guess it has become quite apparent that I can't get enough of this Lettering Delight's Seven Seas graphic set. 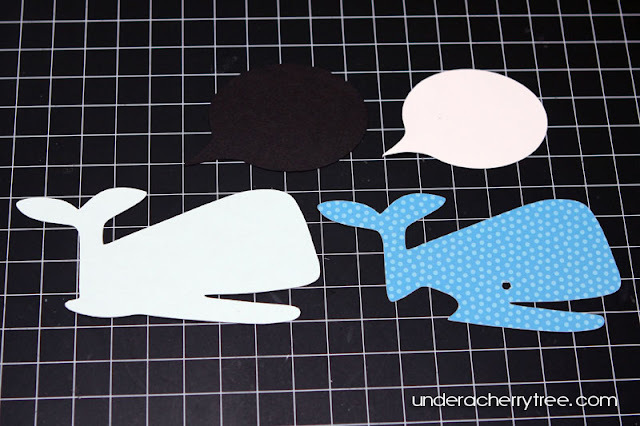 I have bought several Cricut cartridges (including some Lite ones from Walmart) recently and yet I still found a lot of satisfaction converting and cutting out these LD images up with my Cricut using the Make-The-Cut software. It does make it hard to justify keeping all those Lite carts (still in their blister packs!) when this graphic set only cost me a mere fraction of the cost of 1 cartridge. I had mentioned Lettering Delights' new Seven Seas graphic set in my last post. 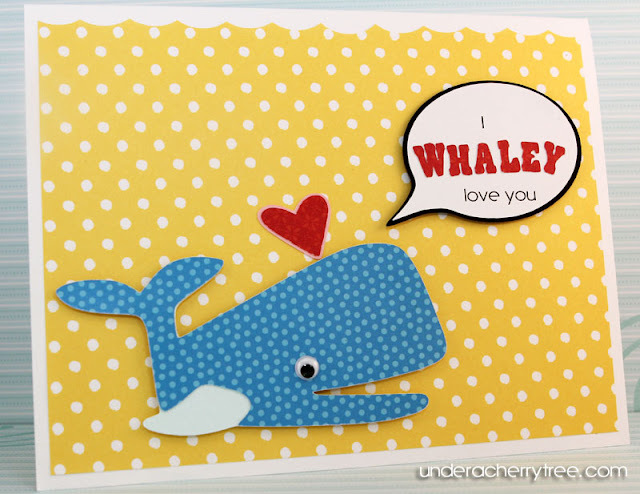 Today I will show you a card that I had made using an image from that set and which I had cut out with my Cricut machine and the Make-the-Cut program. I have never used MTC to cut something so small but each letter in the "WHALEY" sentiment measures approximately 0.5"x0.5". I was impressed that the cuts turned out so nicely. 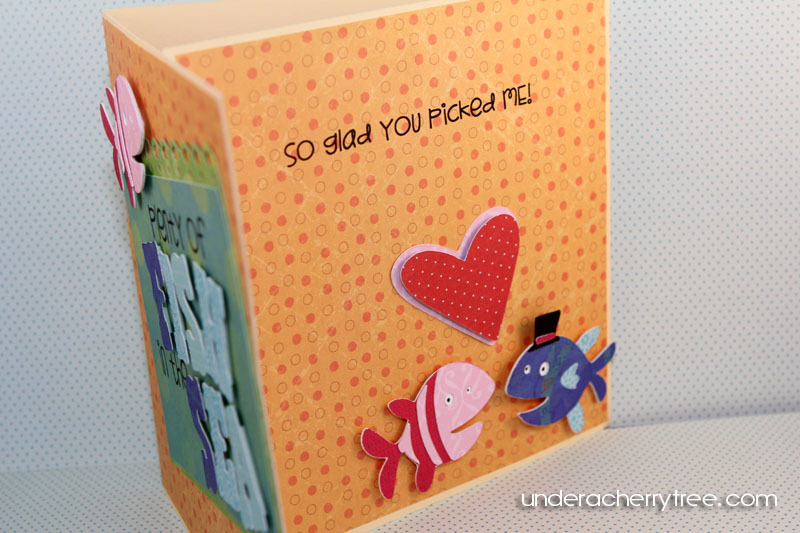 Unlike the submarine card, I wanted to keep this card as simple as possible. It's a simple idea but it sure sends the message across. As I have said before, sometimes Simple really is the best way to tell a story. And, yes, I "whaley" think so. I once told my husband that I am an equal opportunity crafter. If I like a product, I will use it and then tell others how great it is. If the manufacturer has a new competition with a similar yet better product, I will have no qualms in buying the new item if I like it and if my budget allows it. 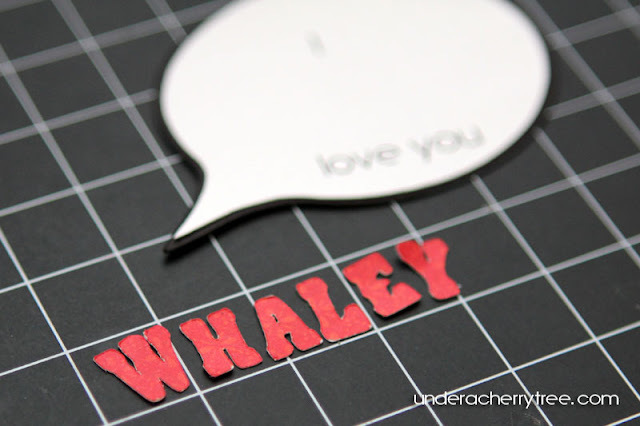 I love my Cricut Expression machine but I also LOVE the Make-the-Cut software and I like to use Lettering Delights' fonts and graphics with the two. I refuse to limit myself to the product(s) of just one manufacturer and this card clearly illustrates that sometimes the products of these three companies complement rather than compete with each other. Lettering Delights' has a graphic set called Seven Seas that I love and when I saw the yellow submarine image, I knew that I have to cricut it out. But alas! How am I supposed to do that when I have three little ones who are constantly asking for my attention? It took me 10 minutes to convert the file and 30 minutes to choose the paper but once the cuts were made, it didn't take long at all to put them all together. 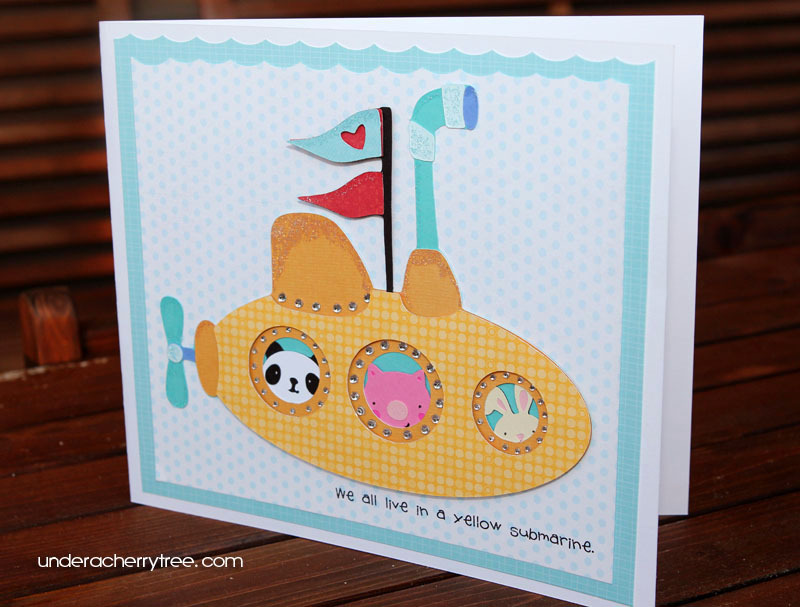 Using Provo Craft's Create-A-Critter cricut cartridge, I cut the panda, pig, and rabbit at 1.5" and adhered them with the submarine. 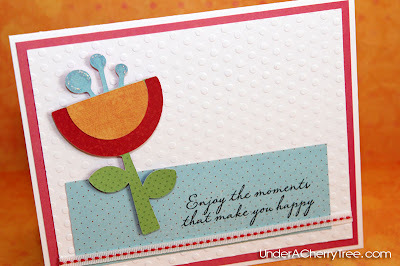 See the wavy top edge of the card? That's my husband's idea. 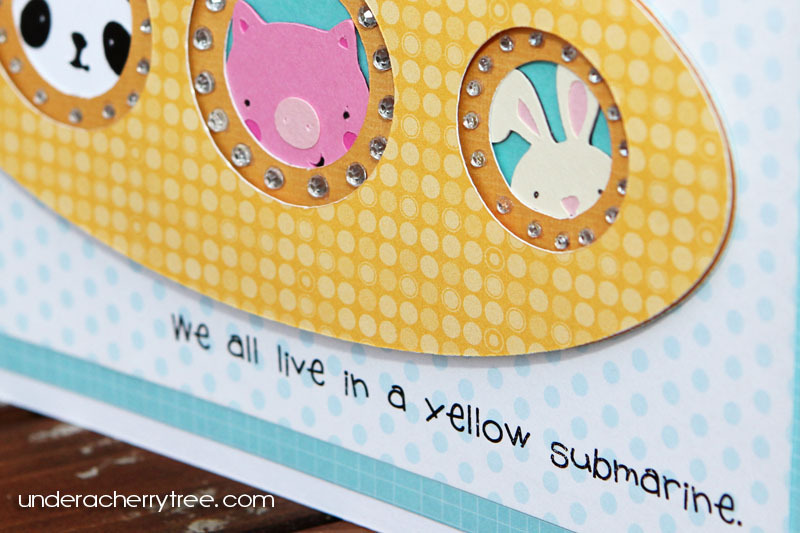 I didn't have a scallop border punch so I used my 1" circle punch to create that border instead. A little Stickles, foam tape and rhinestones later, and my card is in my hands. Looking at it I can't help but wonder what great things would PC and MTC come out with if they ever work together. It's Summer and my 3 kids are all home with me 24/7. They occupy every waking (and sometimes even non-waking!) moment of mine and I have to temporarily cut back on the time that I am spending on this blog. I will try to post once a week and it is unlikely that I will be posting any more frequently than that. My kids are young and as much as I like to craft, I'd rather be spending time with them while they still want me to. I will be posting more again when Summer Break is over. Having said that, here is a quick idea that I have been wanting to share with you. My girls had their dance recital at the end of June. This year, in addition to recital tickets, the dance studio sold "Candygrams" for $5 a bag. 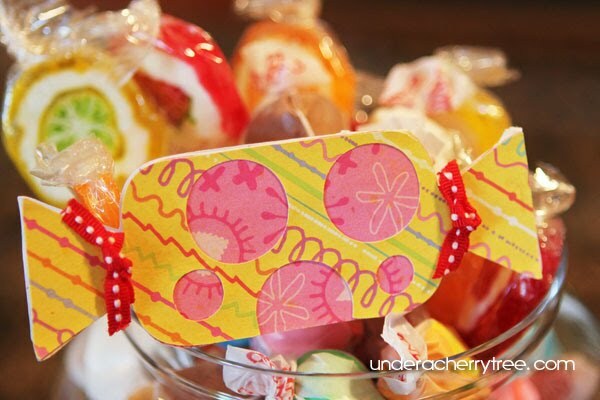 Basically, it is a little bag of candies with a note from the purchaser (usually the parent). I was intrigued and was totally ready to plop down $15 for 3 of these bags. That is, until I realize that I have no control over what kind of candies will be put into the bags. I was told that they will just bag up "some kind of candy" and then hand the bags directly to the dancers backstage and during Intermission. The parents will not know first what kind of candies will be in the bags. All that the parent will get to touch before the dancers is the note that they will be writing on at the time of purchase. This "note" really is just a postcard-sized photocopy of some random pictures on a thin card. It did not take me long to decide that I cannot buy their Candygrams. My youngest daughter has a peanut allergy and if the studio is unable to guarantee that only peanut-free candies will be provided, there is no way that I will buy their treat bags. I went home and pondered about the situation. I do not regularly give my kids candies but I can't let them watch the other children get treats and they go without. Since I can't buy those candygrams from the studio, I will have to make my own. On the night before recital, instead of going to bed, I stayed up to make 3 goodie bags. It took me 20 mins to whip up three candygrams. 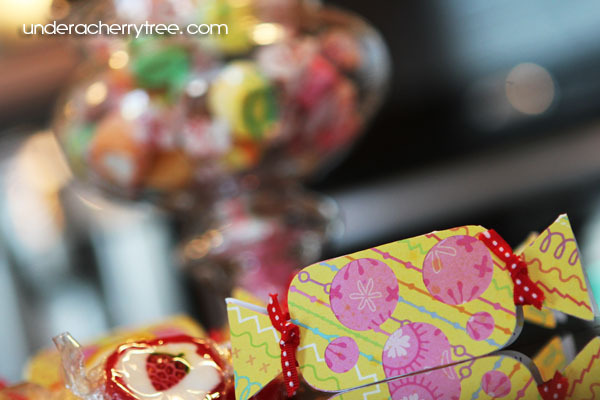 I used the Mini Monsters cartridge to make the little note cards and then stuffed a treat bag full of candies that I had bought in the afternoon. I gave the girls their Candygrams when I dropped them off backstage. I think that they do love what they received even though they said they had to share their candies with the other dancers. I have to credit the dance studio for coming up with the idea. 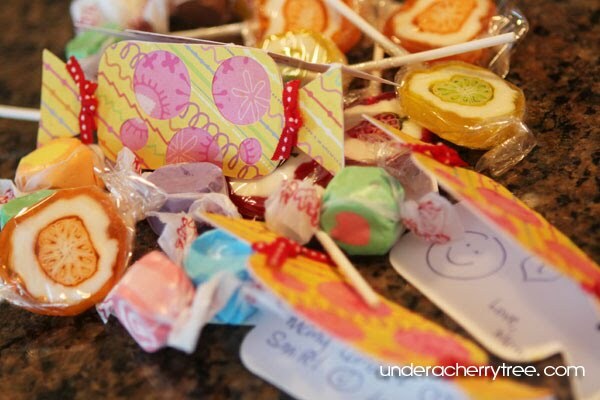 Besides a dance recital, I think that Candygrams can also be given in any other scenarios where the kid is dropped off at an event without the parent, say, like at a Summer Camp. It's such a nice way of telling the little ones that even though Mommy or Daddy isn't there with them, they are thinking of them.